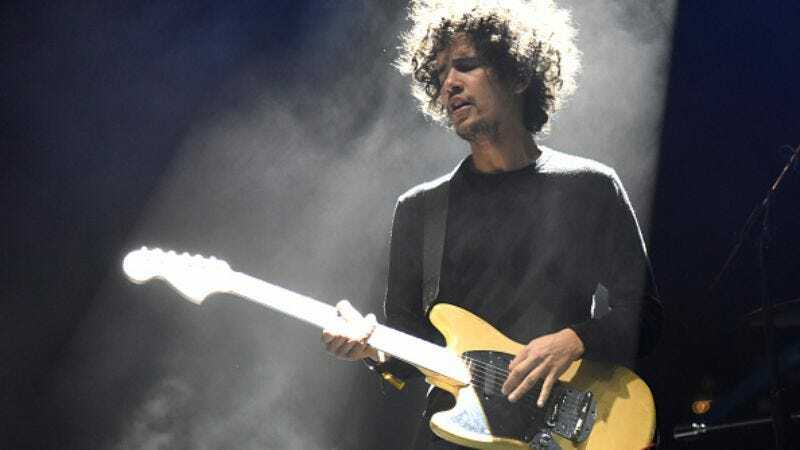 Here’s something to take the sting out of those canceled At The Drive-In shows: Omar Rodriguez-López, the band’s guitarist and the erstwhile leader of The Mars Volta, has announced a plan to release albums every week from now until the end of the year. According to Pitchfork, Rodriguez-López recorded a dozen heretofore unreleased LPs between 2008-2013, when he spent some time living in Texas and Mexico. He now intends to release one solo album via Ipecac Recordings every two weeks beginning July 15. After throwing around many different project ideas, this seemed like the best place to actually begin, on what will surely be a long lasting collaboration. I can’t think of a better home for these records or of another label crazy enough to put out this much material. The series also owes its blood to the hard work and talents of Jon Debaun and Chris Common, who diligently scouredthrough endless hard drives to find these albums and provide such stellar mixes. The albums will be available digitally, and a limited number of CDs will be sold at whatever live shows Rodriguez-López does play in the months to come. All of the recordings will be part of a limited edition CD/LP box set when the initial run is completed. Here’s the release schedule, complete with album titles.